New Year's is a great time to start a diet and get your calories under control. But you'll need to watch out for these health-food impostors—wolves in sheep's clothing—that can torpedo your physique. Even if you're not loading up your grocery cart with tubs of ice cream and boxes of Twinkies, you could be unknowingly souring your diet and six-pack pursuit by being duped into purchasing foods that are wolves in sheep's clothing. That's because food manufacturers are brilliant at making certain foods seem healthier than they are by employing hot-button words like "organic" and "fat-free." Here are some of the biggest health-food impostors at the supermarket, and the alternatives that won't sabotage your fitness gains in the year to come. Many physique-conscious people are steering away from heavily refined sweeteners like white sugar, and opting instead for alternatives like agave syrup (agave nectar) to sweeten their foods. 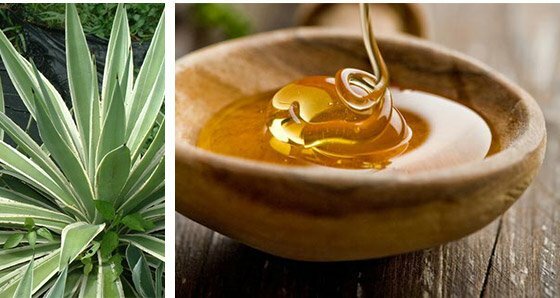 Agave also offers a vegan alternative to honey. Yet, agave is not nearly the nutritional upgrade that many wish it to be. Agave is made from the same plant that produces the tequila used in margaritas. Inside the plant is a sap called aguamiel, which is exposed to enzymes, chemicals, and heat to convert it into the syrup you see on store shelves. Organic producers, however, eschew the use of harsh chemicals and may employ lower heats. Regardless, agave is still a processed sweetener, devoid of nutrients and antioxidants. Further, it often contains more fructose than any other sweetener, including the much-maligned high-fructose corn syrup. Try using raw honey, molasses, or pure maple syrup, all of which have been found to contain more antioxidants than agave. While this gives agave a lower glycemic index than white sugar, the concern is that flooding your body with fructose from refined sweeteners can contribute to fat gain, insulin resistance, high blood triglycerides (a risk factor for coronary disease), and fatty liver. Research suggests that fructose is converted into fat more rapidly than glucose is. If you need to add a sweet touch to your yogurt or oatmeal, try using raw honey (which has less fructose), molasses, or pure maple syrup, all of which have been found to contain more antioxidants than agave. A 2014 "Journal of Functional Foods" article determined that maple syrup brings about less of a blood-sugar spike than more refined options like corn syrup. But, in the end, all sweeteners should be enjoyed sparingly. Food manufacturers have long known we are suckers for health halos, which has incidentally also been proven by research. Take, for example, a Cornell University study that found participants believed that cookies, potato chips, and yogurt that were labelled "organic" were lower in calories than those that were labelled "regular," despite containing the exact same nutritional profile. What's more, people were willing to pay more for the organic versions since they deemed them to be more nutritious. The upshot is that healthy-sounding food labels can cause us to let down our nutritional guard and overindulge on gut-busting snack foods. See past the front-of-label claims and make your decision on what packaged foods to toss into your cart based on information gleaned from the Nutrition Facts Panel and the ingredient list. 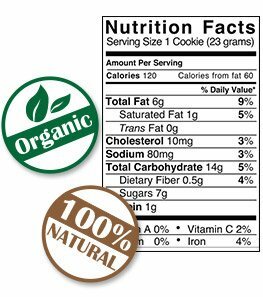 Often you'll see that "organic" or "natural" cookies and candies are still junk foods full of sugar and processed carbs. They just happen to take a bigger bite out of your grocery bill. Before you grab that loaf of multigrain bread for your lunch sandwiches, scan the ingredient list carefully—or you just might be fooled into buying refined grains in disguise. Breads and other grain-based items touting slogans like "made with whole grains," "7-grain," and "multigrain" often contain high amounts of nutritionally inferior grains like wheat flour or enriched flour—both euphemisms for six-pack killing white flour. 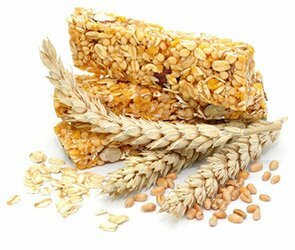 Manufacturers will include some whole grains in the mix, but how much is actually added is anyone's guess. What's more, even products sporting the yellow Whole Grain Stamp are typically higher in sugar and calories, according to an investigation by the Harvard School of Public Health. Manufacturers will include some whole grains in the mix, but how much is actually added is anyone's guess. To avoid falling into the white-flour trap when shopping for bread products, check the ingredient list to be certain the first grain or flour listed says "whole," such as whole wheat or whole rye. Do so and you'll get a higher dose of fat-fighting fiber and other vital nutrients. Also be sure that sugar like sucrose is not one of the higher-up ingredients. Ideally, look for a 10:1 ratio of carbohydrates to fiber. 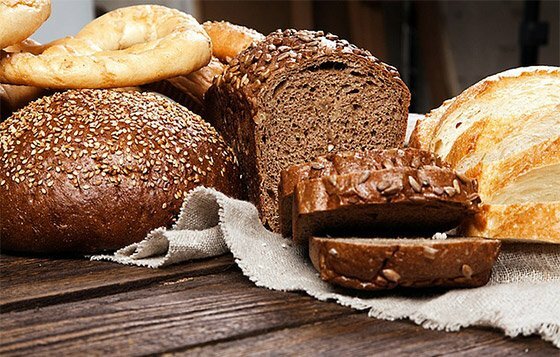 Breads with this ratio or lower typically have more fiber and less sugar, sodium, and trans fat than those with a higher ratio, according to the aforementioned Harvard study. Fruit and protein-packed Greek yogurt, what could be better? Well, most fruit-, vanilla-, or coconut-flavored yogurts are pumped full of added sugars like evaporated cane juice and surprisingly little actual fruit. In fact, flavored yogurts can contain up to triple the amount of sugar found in plain versions. Also, if you're keeping close tabs on your calorie intake, watch out for Greek-style yogurts that also include high-fat cream. While traditional Greek yogurt is made by laboriously straining away excess moisture, an alarming number of brands take the easy way out and simply use thickeners like corn starch and milk protein concentrate. Unfortunately, there's no official regulation of what "Greek" yogurt has to be, which gives some manufactures room to mess with a good thing. To show your midriff some love, select only plain Greek yogurt from the dairy aisle, and add your own sweet kick with whole fruit such as berries. If you prefer vanilla-flavored yogurt, try stirring some pure vanilla extract into plain yogurt for the same great taste minus the sugar deluge. An ideal ingredient list should consist of only milk and active cultures. In this case, green doesn't mean go. More often than not, spinach powder is but a scant ingredient in those green noodles whose verdant hue likely comes predominantly from food coloring. But what isn't lacking are the overly processed grains like durum semolina that the noodles are often made with. If you're also looking for the nutrient payload provided by spinach such as vitamin K and vitamin A, don't expect to find this in spinach bread wraps. Don't think you're getting a serving of vegetables by serving up spinach noodles for pasta night. Instead, boil up a package of 100 percent whole-grain or legume pasta and toss in real greens like baby spinach or baby kale for added fiber, vitamins, minerals, and antioxidants. Many brands trumpet their whole grains and real fruit goodness on their labels, but investigate further and you'll quickly discover that eating too many can blow up your physique. Most likely the ingredient list will reveal pitiful amounts of protein, lackluster fiber levels, a dearth of real fruit, sky-high sugar numbers, and plenty of ingredients that seem like they belong more in a chemistry lab than a food bar. Hardly a healthy way to start your day. These days there are no shortage of great bars on the market, so why settle for such a nutritional dud. Look for a bar with good amounts of protein (about 10 grams or more), conservative sugar levels, and some whole-food ingredients like nuts, oats, and seeds. When it comes to fruit, stick with the real thing instead of any "fruit" jam stuffed into a cereal bar. Surprise! Drizzling bottled fat-free dressing on your salads could be making them less healthy. According to a study by scientists at Purdue University, a little bit of fat is essential for us to properly absorb the assortment of body-friendly antioxidants like lycopene and beta-carotene found in various veggies. Why? These potent disease fighters are fat-soluble, so without some fat, you won't get the full benefit from your tomatoes and carrots. The study found that adding just three grams (a little less than a teaspoon) of monounsaturated oil such as that found in avocado or olive oil is all that's needed to bolster your salad's potency. Also, some manufactures will replace the fat with sugar in fat-free dressings to help make up for a loss in flavor. Drizzling bottled fat-free dressing on your salads could be making them less healthy. 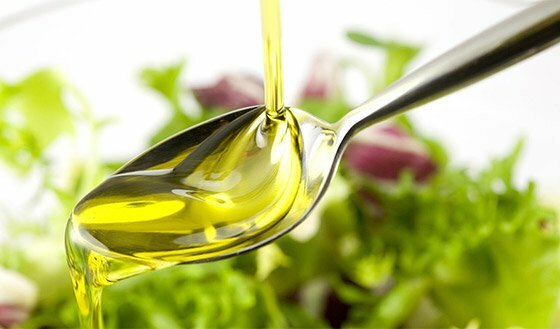 When spinning your wheels through the salad dressing aisle, look for bottles of vinaigrette that contain little more than a mixture of vinegar, healthy oil such as extra virgin olive oil, and some herbs. Ideally, it should contain no more than 70 calories and 200 mg of sodium per two tablespoons. Or save some cash and just make your own, which is anything but a high-flying kitchen feat. Try whisking together olive oil or walnut oil with Dijon mustard, red wine vinegar, a minced garlic clove, and a few pinches of salt. St-Pierre, P., Pilon, G., Dumais, V., Dion, C., Dubois, M., Dube, P., ... Marette, A. (2014). Comparative analysis of maple syrup to other natural sweeteners and evaluation of their metabolic responses in healthy rats. Journal of Functional Foods, 11, 460-71. Lee, W., Shimizu, M., Kniffin, K., & Wansink, B. (2013). You taste what you see: Do organic labels bias taste perceptions? Food Quality and Preference, 29(1), 33-39. Goltz, S., Campbell, W., Chitchumroonchokchai, C., Failla, M., & Ferruzzi, M. (2012). Meal triacylglycerol profile modulates postprandial absorption of carotenoids in humans. Molecular Nutrition & Food Research, 56(6), 866-877.